Get simple yet versatile chorus from this unique box. 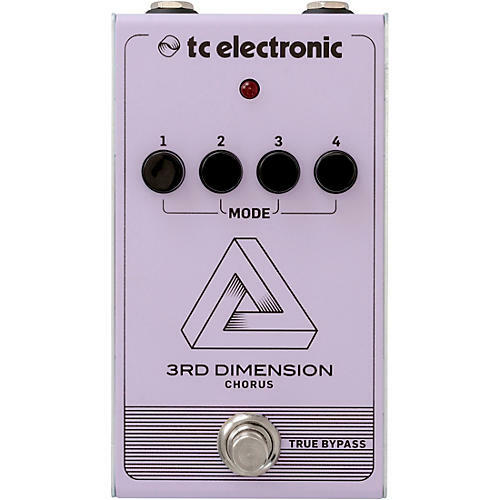 The TC Electronic 3rd Dimension Chorus is a unique type of “motionless” chorus effect that reproduces that recognizable eighties clean tone. It’s full and lush and expands your tone with a three-dimensional feeling that is at once rich and sweet as well as shallow and smooth. The pedal has no knobs for you to obsess about – just 4 preset buttons ranging from “just a bit” to “quite substantial”. But don’t worry – you’ll like all of them!